I often find myself telling people that they drank the koolaid. This is a bad habit on my part. It normally occurs after I have spent some time trying to explain a subject or concept to someone, especially one which I may have direct knowledge of, yet the concepts fall short of being understood. 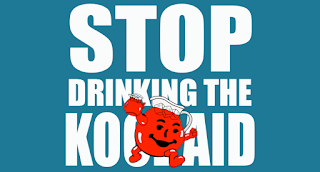 I end up telling someone that they drank the koolaid after they refuse to process the information I have presented or default to a dogmatic, mass accepted non-truth. When this happens I immediately have to consider two possible issues. First and foremost being my understanding of that person may not be as accurate as I believed sunce I'll only spend time explaining something to someone in depth when they are someone I have reason to provide information indepth to. Be it a fellow tribesman, a brother or otherwise. Those who are part of this group have never, and will likely never, prompt me to consider my understanding of that person's motives, intentions and mission. If I can get through this part then I have to immediately move onto the second possible issue. I may not be seeing something they are, I may not have an experience which they have. However, if I believed that the person I am talking to may have more experience or specific experience or understanding of a subject I would not attempt to provide info to them on it, especially true if they may be able to educate me on it. So the issue boils down to determining how much of an investment am I going make in a person and how far I am going to go. This is really important because we each need to determine for ourselves to what extent we will go in order to educate someone. At what point do we just cut our loses and move on? There is also the burden of not actually drinking the proverbial koolaid. We each have to go out of our way to vette whatever information we decide to endorse and what information we push out to others. We each have a responsibility, not just to ourselves but to the people who depend on us and the people we train with, to do our due diligence. Just look at IG and other social media, the level of misinformation which exists there is staggering. Yet, the moment someone says something about a certain piece of information they are often attacked and purposefully trolled. It just so happens that sometimes down the line that persons statements were accurate. This happens a lot, and more often than many would like to admit. Koolaid is very similar to dogma of a particular concept. The more something is perpetuated the more groupthink kicks in and the better the koolaid tastes. 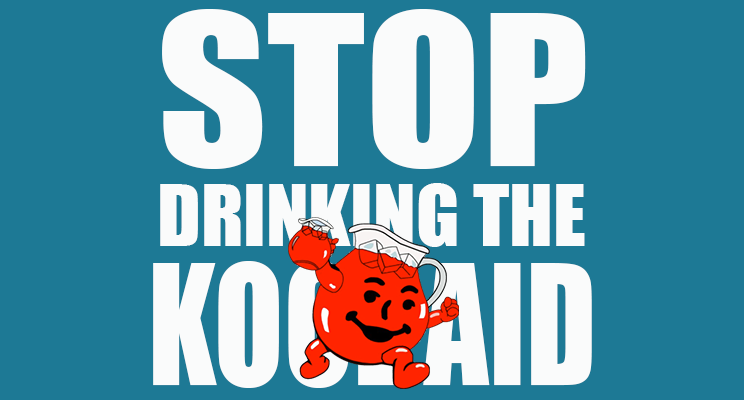 Shouldn't you take a moment to see if you are actually drinking the koolaid? Shouldn't you take a moment to figure out if you are making the right decisions based in logic and not because some IG celeb said so or endorsed something? Here's an exercise for you, next time some new fad technique, drill, gun part, etc comes out, look at who jumps on the bandwagon first, look who endorses it right away and their track record for endorsing koolaid laced concepts. There is a huge correlation here which is really obvious. It only requires you to think logically and challenge what is widely accepted.